Interviewer: What are the most important amenities that you like to include in your designs? Jack Carman: One of the most important, if not significant elements in a Therapeutic Garden is the incorporation of a water feature. Water is soothing, it is contemplative, and it is relaxing. Having that (water feature) as a part of the garden, as a backdrop for example, a natural sounding aspect, that does not have to be large, can help people calm down. The water feature is part of a Dementia Garden, part of a Meditation Garden. It is a part of the many elements in these gardens. 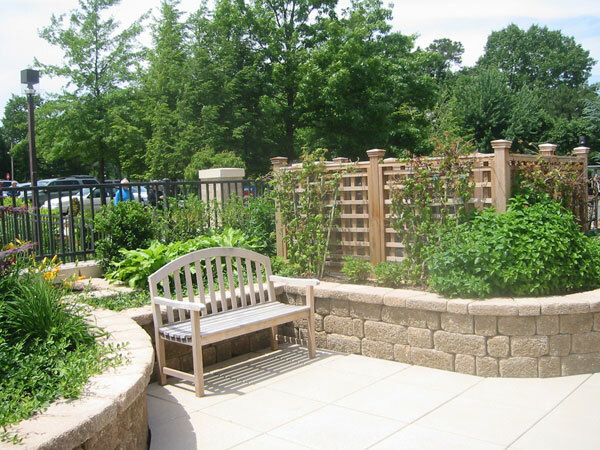 Shade, safe level pathways, reducing glare, seasonal interest, four season plant interest – these are the essential/critical components of a Therapeutic Garden.